Decrease technical debt. Find refactoring opportunities. All features available instantly. No CC to try us out. Unlimited private repos for $20 per user. Free for open source. 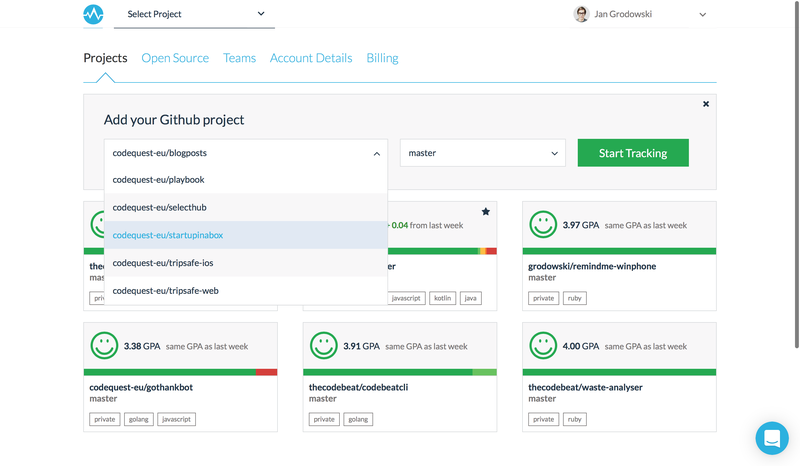 Set up codebeat to track every quality change in one of your Github, Bitbucket, GitLab or self-hosted repositories. We'll get you up and running in seconds. 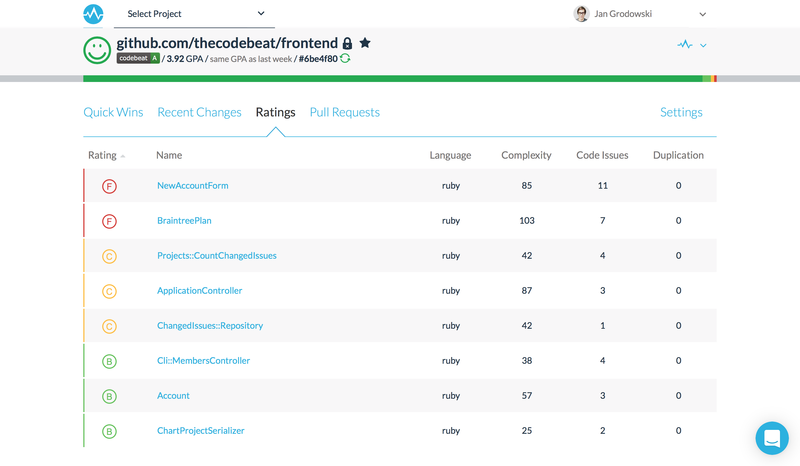 codebeat provides automated code review and supports many programming languages. It will help you prioritize issues and identify quick wins in your web and mobile applications. Learn about the impact of your changes, without leaving tools that are part of your workflow. 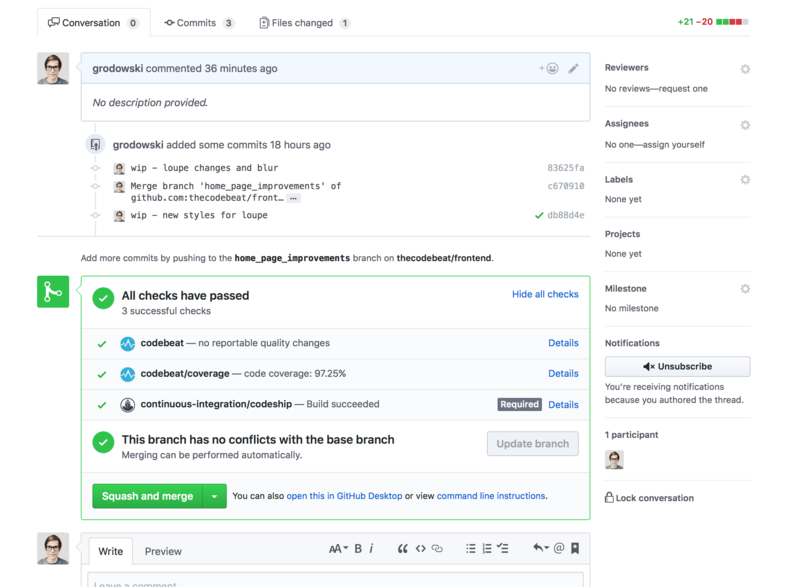 Codebeat integrates with Slack, GitHub and BitBucket; including Pull Requests. 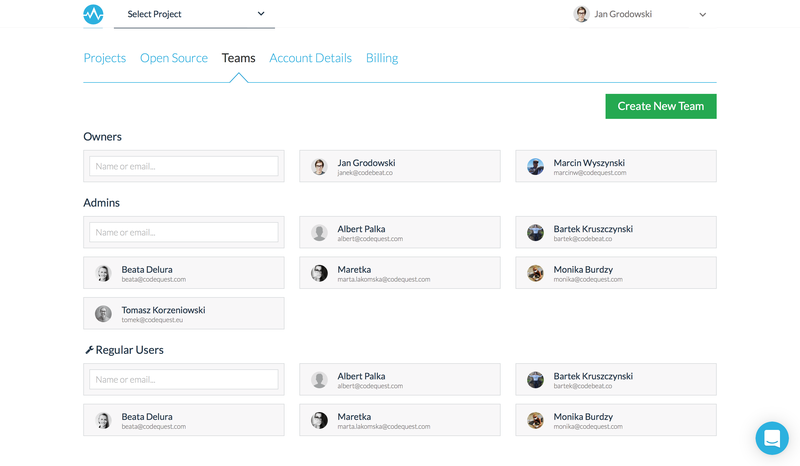 codebeat offers a great team-management tool for companies and open source contributors. Assign access levels and move people between projects within seconds. Perfect for both small and large troupe. Find out how codebeat impacts their work! jtribe is an experienced mobile development team from Australia. codebeat helps them not only to fix code smell and decrease technical debt but also inform the team about any refactoring opportunities that emerge within the ongoing project. With over 50 mobile native code bases between Android and iOS, PERK has to pay attention to code quality. codebeat helps them decrease technical debt and thanks to its multiple languages support, allows them to consolidate all of their code quality metrics into one, easy-to-use tool. Having 200 in-house specialists working on many projects, Netguru needed an all-in-one high-quality solution to manage their ongoing projects for both web and mobile. Combined with an outstanding customer support, codebeat became a no-brainer for Netguru and its management. Seriously. It's just a few clicks to check how we can help you.